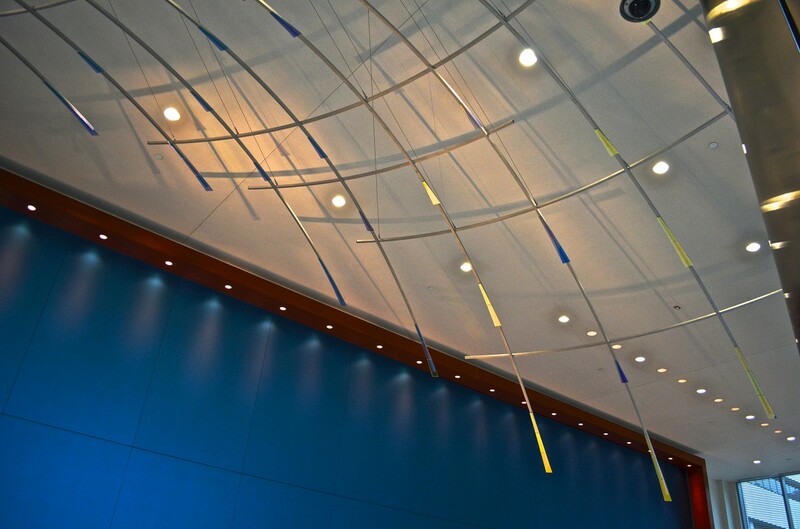 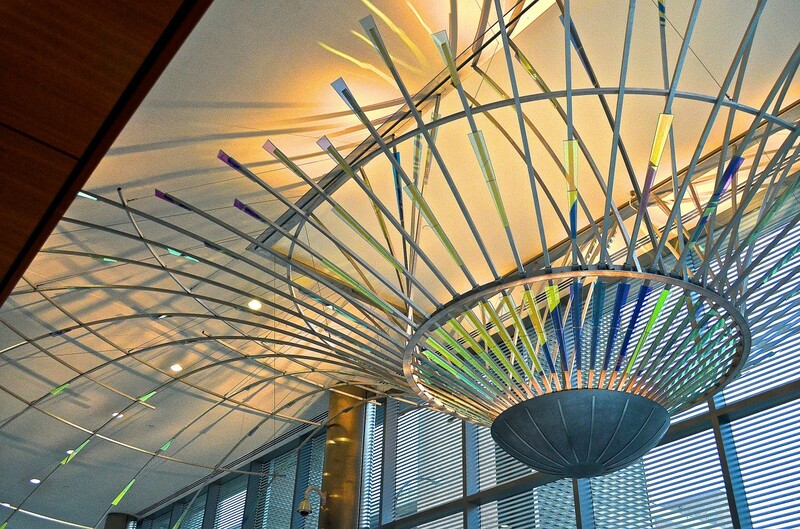 Like ripples from a stone tossed into a pond, “Radius” emanates outward through the Ann Arbor Justice Center lobby, a reminder of the interconnectedness of the public with agencies serving them, and suggesting a network of cause and effect in the public realm. 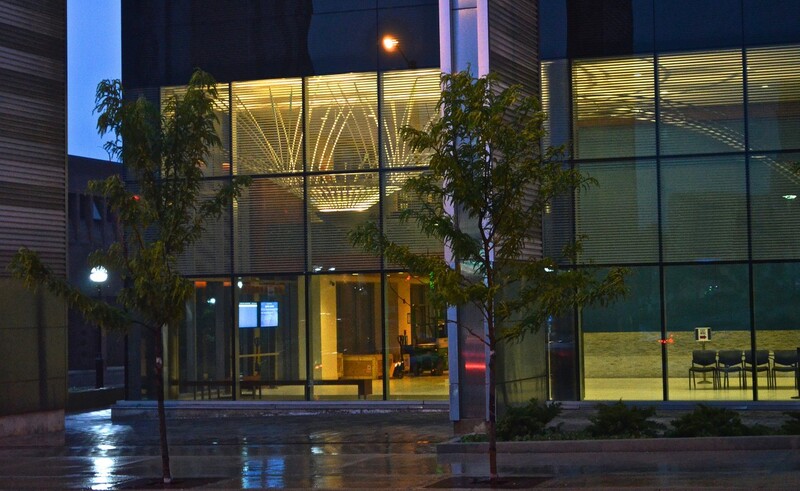 “Radius” is designed to involve as much of the lobby as possible, radiating from the southeast corner, visible from inside and outside, day and night. 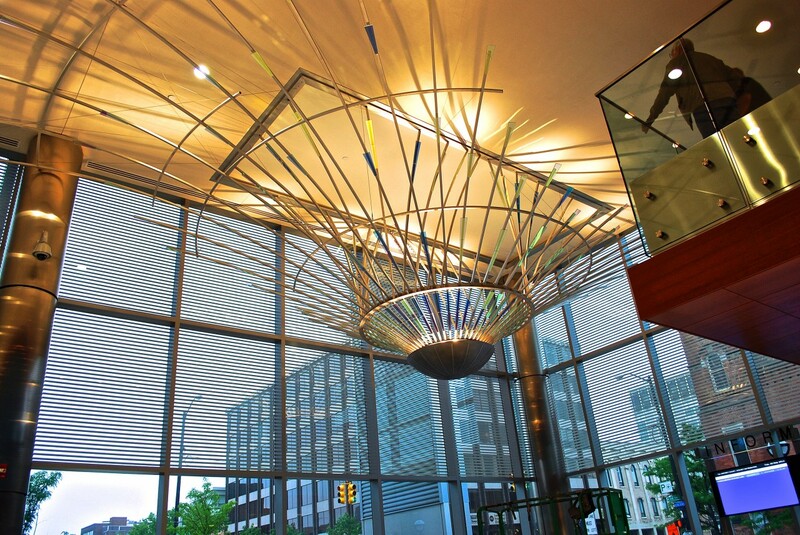 Concealed lighting illuminates laminated glass and polished aluminum details, casting glowing projections of the sculpture’s expansive forms. 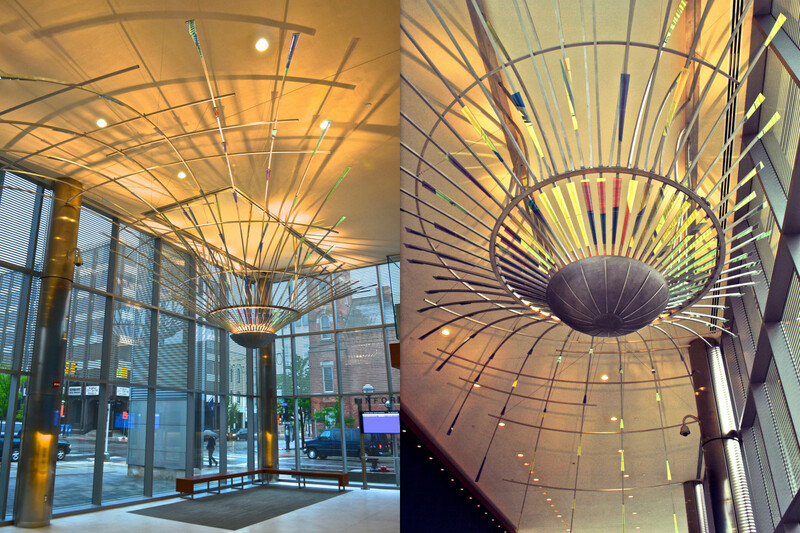 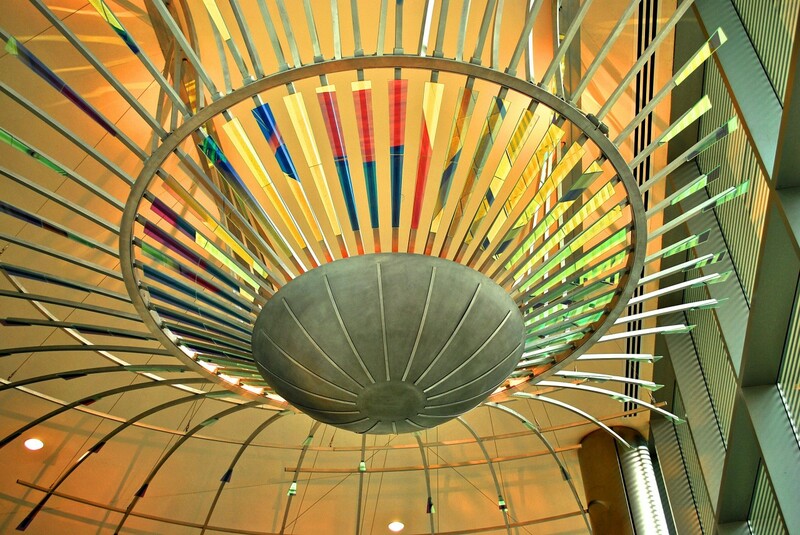 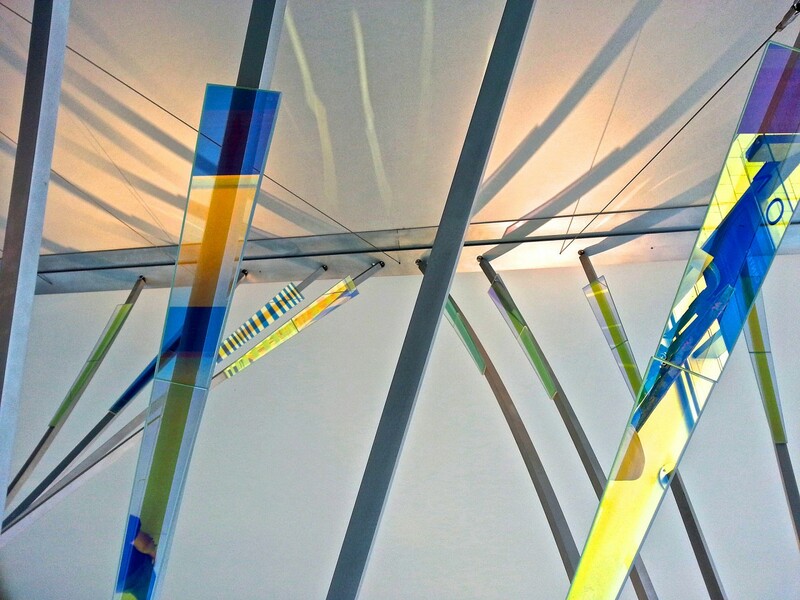 Materials: Laminated dichroic glass, aluminum, stainless steel, lighting.